Golf Service will charge a 2% commission on any completed sale which is deducted from the amount of purchase. In Spain the purchase and sale procedure has to be legalised by a public notary. This process is to be conducted with the seller and the buyer of the golf share. A process that Golf Service will assist both parties with. Contact us now if you want to sell your share! I am interested to sell my golf share(s)! El Paraiso is located in a valley bordered by mountains and has a view of the coast. This is a parkland course with a friendly atmosphere and a wealth of vegetation, 2 well placed lakes, streams and bunkers. 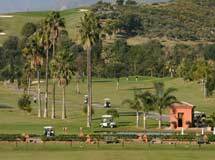 A good drive will be rewarded at El Paraiso. The club is also justifiably proud of the friendly, social atmosphere enjoyed by members and visitors alike. 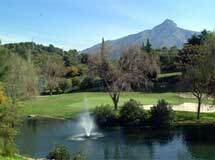 Enjoy one of Marbella’s most exclusive golf courses. Overlooking the first and last holes and the driving range with views over the Mediterranean Sea, the huge sun-drenched terrace is a focal point for the Clubhouse. 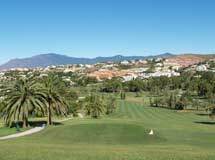 The course is technically challenging but straightforward and pleasant round, wide fairways with few roughs and open greens without pronounced slope. The course highlighted by the “Santa Clara Corner” formed by the 12th, 13th and 14th holes. 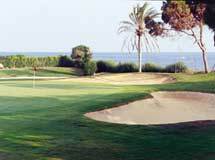 The second oldest golf club in the Costa del Sol, Guadalmina opened as a 9 hole course in 1959. It was extended to 18 holes in the late 1960s. 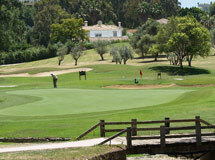 The 10th and 11th holes run along the sea and the fairways are bordered by well established trees. The North Course opened in 1973, and it is more gentle than the South Course, but just as interesting and quite tight in places. Both courses were renovated by Global Golf in 2002. Aloha is not a long course, except for certain holes such as the 1st, 4th, 13th and 18th, but it needs precision and particularly on these holes also strength. It is an estrategic course with very well placed obstacles and trees, a rough that also complicates things and fast and slightly uneven greens, definitely for skillful players. 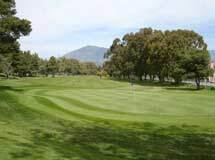 Rio Real is a splendid parkland 18 holes course located on a gently rolling terrain. 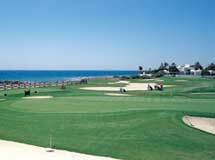 Rio Real is located right next to the Mediterranean Sea with fairways lined by pine and palm trees. The Real river crosses the course several times. The 10th hole demands an excellent drive to reach the right handed dog leg for the approach. The 11th hole has a spectacular tee, overlooking the golf course and club house.